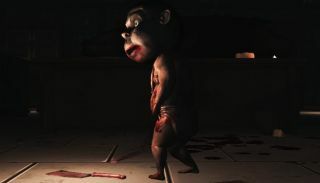 Dead Realm publisher 3BlackDot has issued a lengthy statement in response to claims that Let's Play-style videos by popular YouTubers Adam Montoya (SeaNanners), Evan Fong (VanossGaming), and Tom Cassell (TheSyndicateProject) failed to disclose that they are co-founders of the company, and co-developers of the game. That, as Gamasutra initially reported, may violate FTC regulations on disclosure in promotional videos posted to YouTube and elsewhere. "The excitement and fandom you are seeing around Dead Realm is real and organic, and the game has taken on a social media life of its own. To date, we have not paid for any promotion, media, or endorsement of the game. We have had more than 150 Million impressions around Dead Realm on Twitter alone, primarily because of the well-known involvement of several of our founders and creative directors, Adam Montoya (aka 'SeaNanners'), Evan Fong (aka 'VanossGaming') and Tom Cassell (aka 'TheSyndicateProject') in the development and creation of the game. In other words, their fans have been so supportive because it is their game," the statement says. "In the time since our very public launch as a company at Comic Con last year, more than 30 press articles have been written about 3BD and our new model. Most of the articles have centered around the involvement of Adam, Tom and Evan, three of the largest social media influencers in the world, in 3BD," it continues. "Through a dizzying number of tweets, posts, videos and appearances since, Adam, Evan and Tom have shared with their community of millions the excitement of being involved in their own company, developing their own video games and creating fun original content. The community has been along for the ride the whole time and their support has been overwhelming. The interactive conversation between Adam, Evan, Tom and their communities has been authentic and organic, and the result is that the community now associates them with 3BD and their projects, and it is commonly known that they are founding members of the 3BD team." The statement includes links to posts on Twitter, YouTube, Instagram, and elsewhere, which it says makes clear "that the community is not only aware, but supportive of the fact the game is created by 3BD and that the Influencers are co-founders and creative directors of 3BlackDot." It also says that "establishing and maintaining the trust of fans and consumers" is one of 3BlackDot's priorities, adding, "We are incentivized to over-communicate the Influencers’ involvement in both 3BlackDot and Dead Realm, not only because of the FTC, but also because it is good for our business." "3BD is a small team of 10 people that came together to build great things for and with the community. It is unfortunate that we are seemingly under attack by someone with an axe to grind when the accusation just doesn’t fit," the statement concludes. "Our company is passionate about producing innovative, high-quality experiences, and involving our community in the process as we bring them to fruition. All of us at 3BD, and especially our Influencer founders, share the vision of the FTC, that all endorsement or promotion should be communicated honestly and openly, because at the end of the day, the most important thing is the community." The statement doesn't address the primary claim, however: that Montoya, Fong, and Cassell do not adequately disclose their financial ties to Dead Realm and 3BlackDot in their videos. As the FTC explains in its ".com Disclosures" document, "Disclosures that are required to prevent an advertisement from being deceptive, unfair, or otherwise violative of a Commission rule, must be presented 'clearly and conspicuously'," which is not the case in multiple Dead Realm videos. It also states, in a follow-up FAQ, that a single disclosure covering multiple videos is insufficient "because people visiting your site might read individual reviews or watch individual videos without seeing the disclosure on your home page." That second bit is particularly relevant to people who aren't part of the community that 3BlackDot says already knows the score. This gameplay video and its description, for instance, do not mention Montoya's financial stake in the game, or his connection to 3BlackDot. I've emailed 3BlackDot for more information, and we'll update if we receive a reply.